Just like the scorching weather beaming outside, this year’s summer festival season is burning hot. Here at Insomniac HQ, we’re gearing up for our next major summer outing: Audiotistic Bay Area 2018, which this year expands to two full days—Saturday, July 14, and Sunday, July 15, at Shoreline Amphitheatre in Northern California. 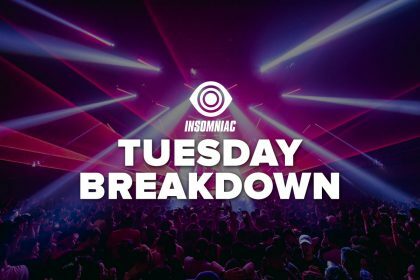 The expansion was necessary to hold all this talent: Kaskade, REZZ, Lil Wayne, Joyryde, Kayzo, LOUDPVCK, Porter Robinson’s Virtual Self project, a special b2b set with NGHTMRE and Slander, and tons more. For the uninitiated, Audiotistic bridges the worlds of hip-hop, dubstep, and dance music into one hodgepodge of cutting-edge music and culture set within an audiovisual dream. As Insomniac’s broad-spectrum, genre-blending brand, Audiotistic has connected the worlds of hip-hop, dance music, and beyond since 1996, when it first launched. This year, we’re continuing that legacy with a stacked lineup that features the top artists repping the best of both worlds. You can stream some of the bass and beats awaiting you next week via our official Audiotistic Bay Area 2018 playlist, which includes a track from every artist on the bill. Today, we’re taking a deeper dive and spotlighting the five must-see acts at Audiotistic Bay Area 2018. If you’re one of the millions upon millions of people who follow Dillon Francis on social media—which, let’s be real, you probably are—then you’ve definitely seen the faces of Los Angeles producers Kyle Kaplan and Vinnie Pergola, who together make up the duo Phantoms. Like their BFF, Phantoms are equally hilarious pranksters online—just watch this funny Halloween skit from 2017 with Dillon Francis himself. But onstage and in the studio, these guys are no jokesters. Their style of alternative electronic echoes with a powerful, pop-leaning sound that’s rich in songwriting and quality production. Their 2017 self-titled debut album is hard to pin down, and we mean that in the best of ways. Across the album’s 11 tracks, Phantoms blend and explore a number of diverse genres, from house and deep house to pop and electro. Collectively, Phantoms balances groove and dancefloor energy over melodic, songwriting-centric dynamics. It also expresses Phantoms’ artistic mission: to make you dance. It all comes to life via the duo’s live show, which sees Kaplan and Pergola getting down on drum pads, synthesizers, and MIDI controllers. 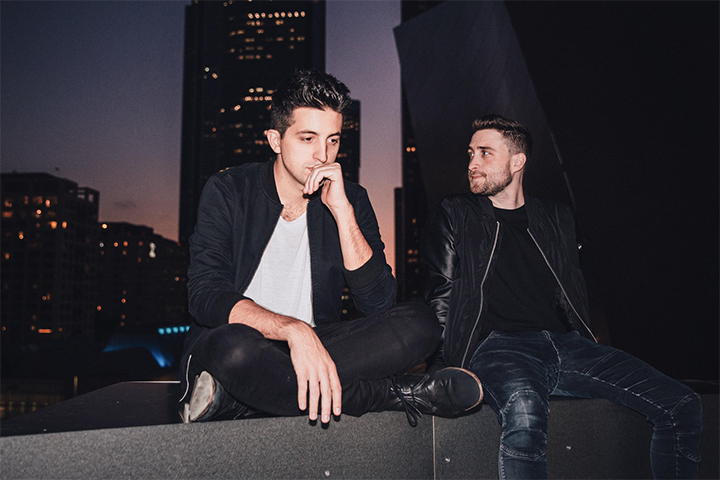 For Audiotistic, Phantoms are dropping a high-energy DJ set, which will bring that same live passion to the decks. 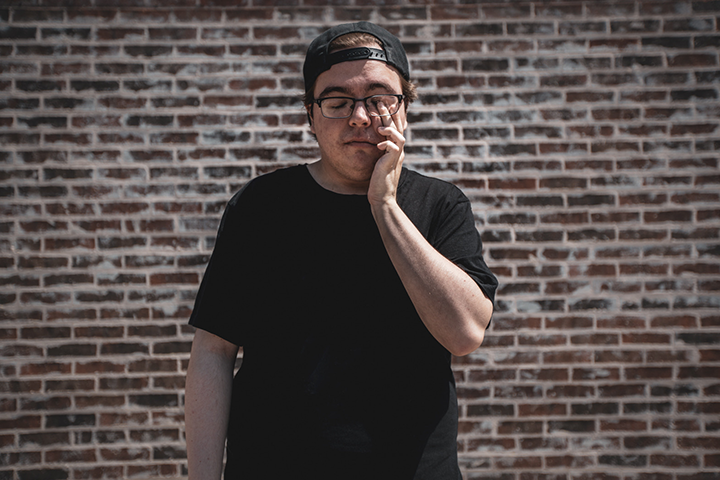 While he’s a newcomer to the scene, Ray Volpe is no stranger to bass-loving Headliners. He’s performed at our annual Halloween haunt, Escape: Psycho Circus, and he’s been a guest on our Wide Awake Stories radio show, where he told us how he got introduced to dance music. (For some extra musical goodies, check out Warez’s face-melting remix of Volpe’s “Rave Rage.”) Today, Volpe is part of a new class of artists and producers who are reshaping and reviving dubstep for the new digital era. His head-knocking style of bass is heavy and hectic, the type of stuff that’ll have you headbanging till you get migraines. The streets have been buzzing with Volpe’s name since his impressive 2017 Reality EP, a hybrid blend of dubstep, trap, bass, and emo that also featured his vocals. Since then, he’s earned support from all your favorite DJs, including Diplo, DJ Snake, Zeds Dead, and Excision, who included Volpe’s “Full Control” in his annually anticipated Shambhala Mix in 2016. Volpe has also remixed everyone from Marshmello and the Chainsmokers to Boombox Cartel and GTA. Next up is his new No Emotion Allowed EP, which shoots you straight into the stratosphere like a bass cannon. 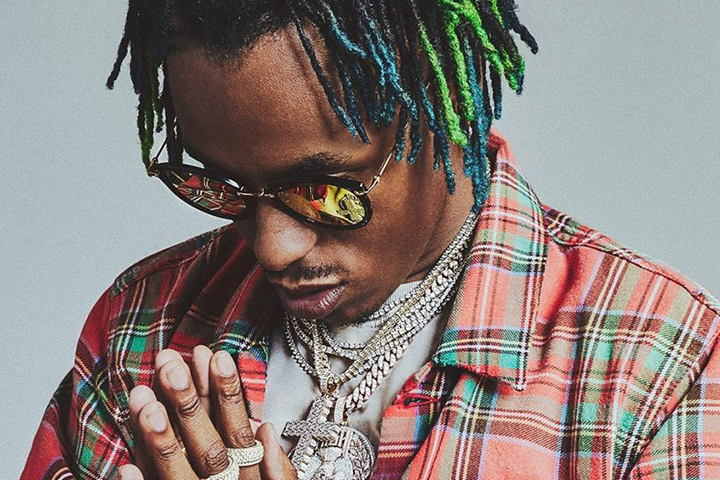 While the rest of the world has been fixated on the SoundCloud rap era, Rich the Kid is one of the rising rappers redefining the Atlanta hip-hop scene. Originally born in Queens, NY, Rich and his fam rerouted to Atlanta after his parents split. It was there that Dimitri Leslie Roger became Rich the Kid. From the get-go, Rich gained the attention and support of rap royalty artists like Migos and Young Thug, who would each go on to appear on his 2014 mixtape Feels Good 2 Be Rich. While his style is defined by the Atlanta trap sound, it also has smidges of punk attitude, which is rooted in his days spent listening to groups like Sublime, Green Day, the Clash, and System of a Down. Since debuting in 2013 with his standout Been About the Benjamins mixtape, Rich the Kid has grown to become one of the hottest names in commercial rap. By 2016, he graduated to industry pro with the launch of his own Rich Forever Music record label, which signed Famous Dex as its first-ever artist; Rich the Kid and Famous Dex will be tearing it up together at Audiotistic next week. This will be one of the most hyped performances all weekend long—guaranteed. Get your trap arms ready with Rich the Kid’s gigantic new album The World Is Yours, which features Kendrick Lamar, Future, Quavo and Offset from Migos, and other top dawgs. 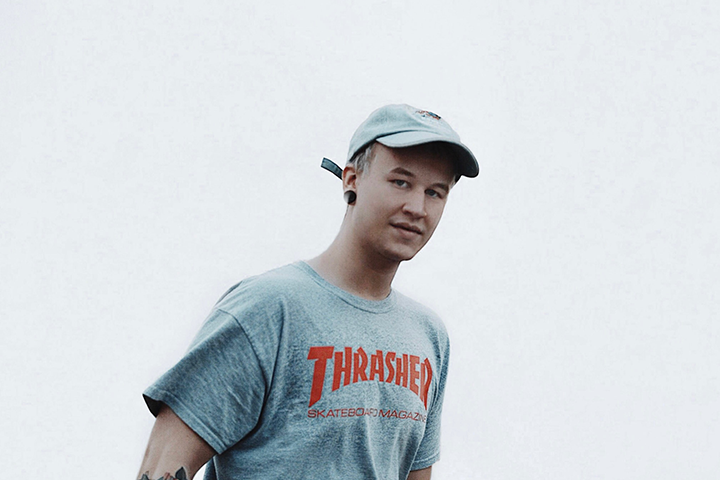 Medasin popped up on our SoundCloud feeds as early as April 2015 with “Gold.” Less than four months later, he blew up with “Coffee,” featuring Masego, which today counts more than 2 million streams on SoundCloud alone. He’s since kept the momentum burning with track after massive track. It’s added up: Today, he counts over 75 million total streams online across all platforms. While his brand is electronic first and foremost, Medasin is known to dip his toes into sensual R&B, chilled-out house, and future-leaning pop. 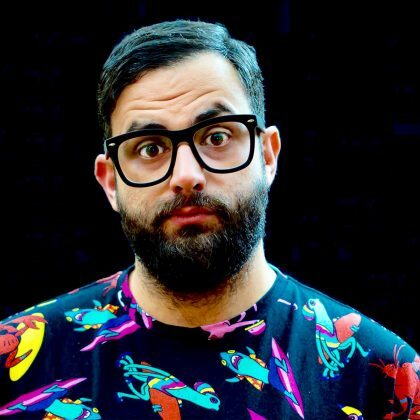 That winning formula has gained him a wave of industry attention rarely seen for such a young act: In 2017, he was nominated for Remix of the Year at the inaugural Electronic Music Awards for his official remix of “Feel It Still” by Portugal. The Man and was recognized as the Best Electronic Act by his hometown newspaper, Dallas Observer. Outside of his work as Medasin, he’s produced for Austin Mahone, GoldLink, IshDARR, and more. He’s also got official remixes for JAHKOY & Schoolboy Q, Martin Garrix, DJ Khaled, and more top artists under his belt. His 2018 is looking to be mega, with collabs with Galamatias, Sammy of Marian Hill, Chynna, and Khai locked in, plus confirmed releases for Republic/Casablanca. 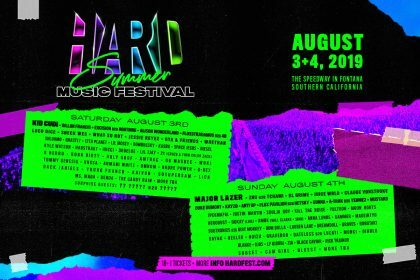 Following his recent back-to-back performances at Electric Forest, he’s dropping beats at Lollapalooza, HARD Summer, and Zedd in the Park, which takes over Downtown Los Angeles tomorrow (Tuesday, July 3). CRAY—which is short for her real name, Cheney Ray, and not an abbreviation for “crazy,” like we all assumed—is born of the digital age. A self-described avid gamer, she built a dedicated following on video game live-streaming platform Twitch. There, she gained early glimpses of her future career as an artist when she began performing DJ sets during her livestreams. She’s since converted thousands of URL followers into IRL fans, who now devour her every bass-driven beat. These days, CRAY is a full-fledged triple threat: producer, DJ, and singer; you can quadruple that if you count gamer. Her take on electronic veers into many sonic territories, from trap (“Tomboy”) and indie electronic (“4never”) to wavy bass (“Indigo”). CRAY got her first big break when Anna Lunoe handpicked her for an opening slot on her 2016 HyperHouse Tour. Since then, CRAY has performed at mega festivals like HARD Summer and has toured with Skrillex, in addition to her own headline tour in Australia earlier this year. 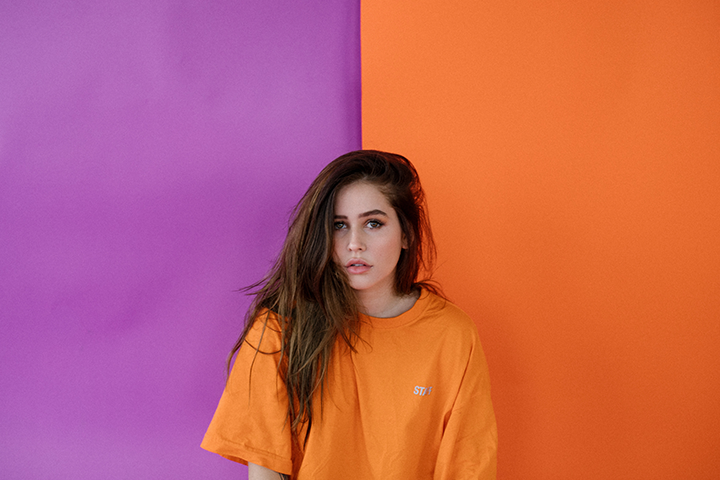 CRAY recently dropped her newest single, “Peaches,” a pop-leaning electronic cut that sees her adding her own vocals that are both pretty and potent, with enough bite to leave a scar. If you’re lucky, she’ll grab the mic and bring “Peaches” to its full form at Audiotistic. Audiotistic Bay Area 2018 takes place Saturday, July 14, and Sunday, July 15, at Shoreline Amphitheatre in Northern California. Tickets are on sale now. For more information, visit the official website.